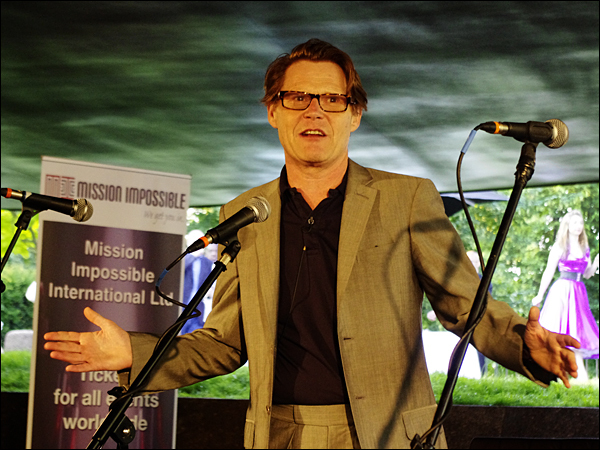 Robert Elms at the Serpentine Gallery Pavilion. 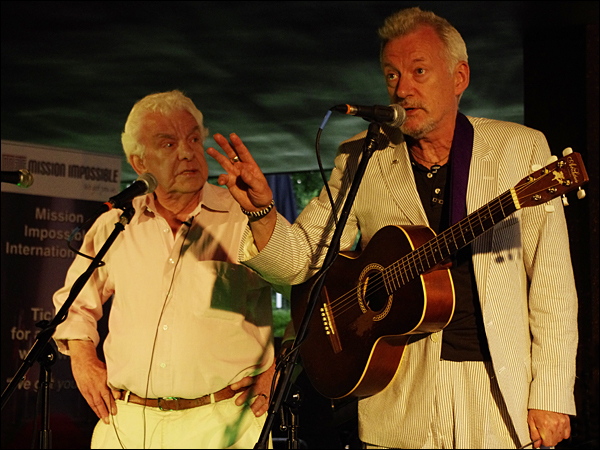 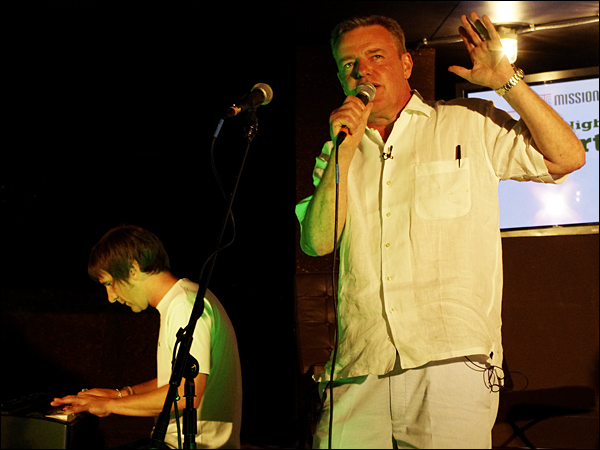 Robert hosted a great evening of fine talk, comedy and music. 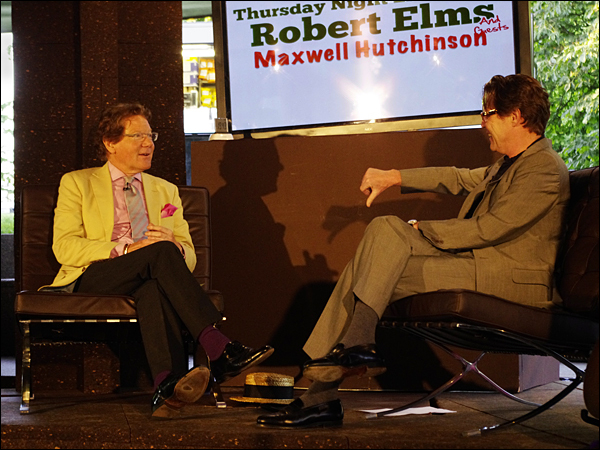 Robert having fun with Professor Maxwell Hutchinson. 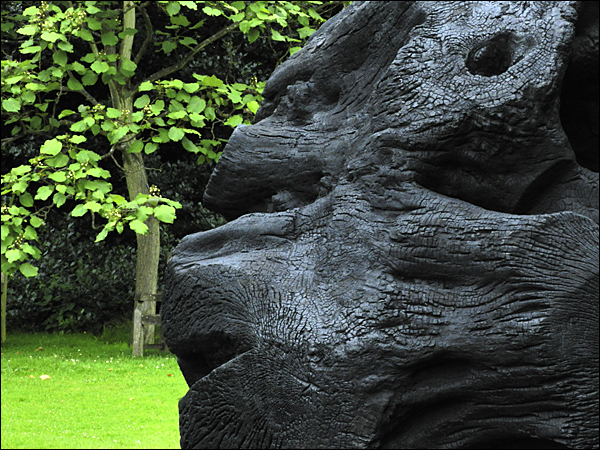 The sculptor David Nash has a selection of his work around the grounds at Kew Gardens. 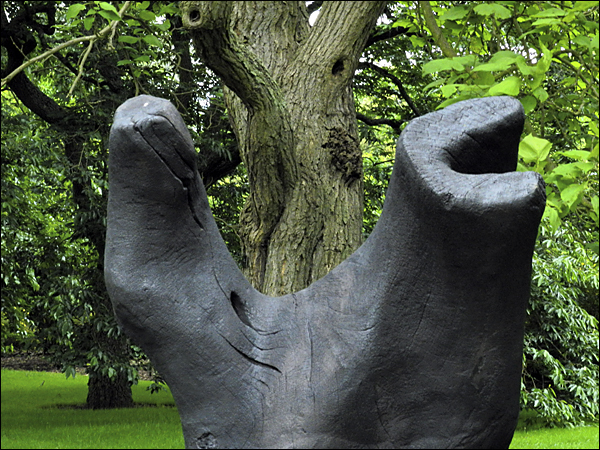 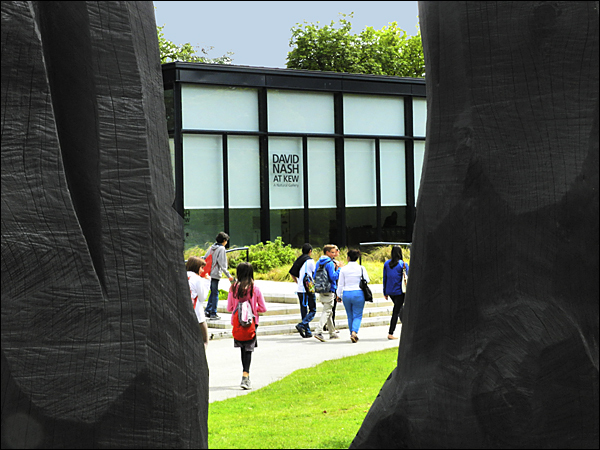 His works are large scale and mostly start with a tree, being cast in bronze later. 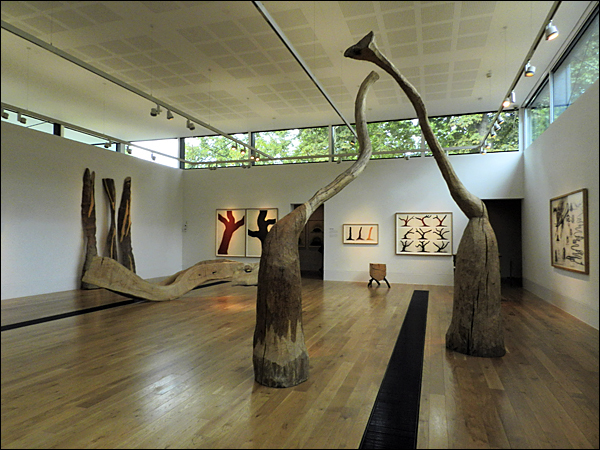 Two typical examples of his work. 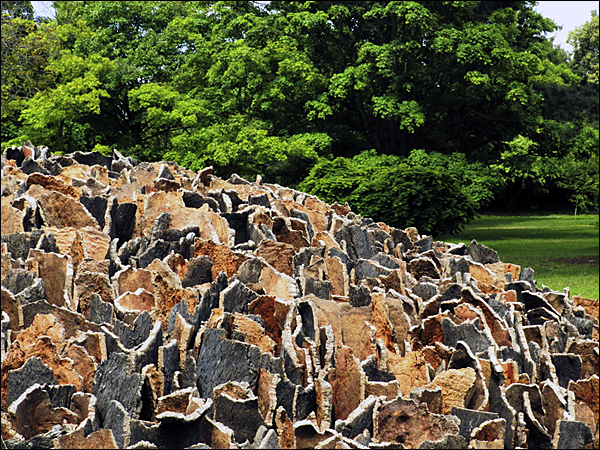 The stripped bark of the Cork Oak is used here with good efect. 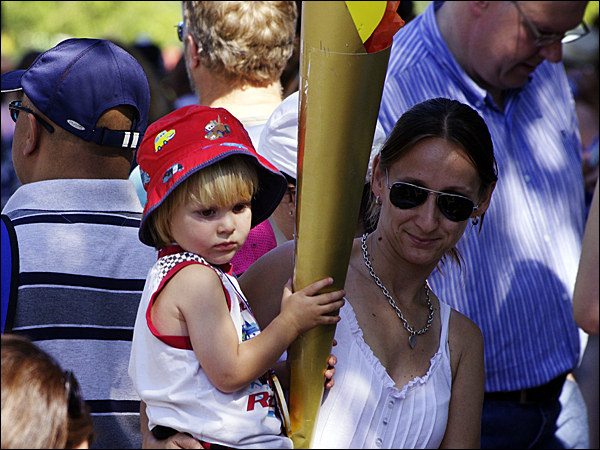 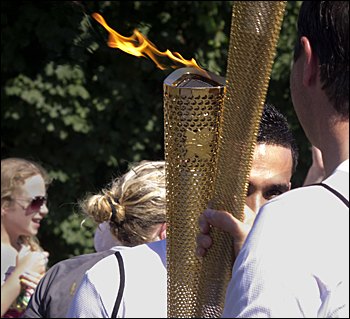 The torch relay comes to my town of Uxbridge, Middlesex. 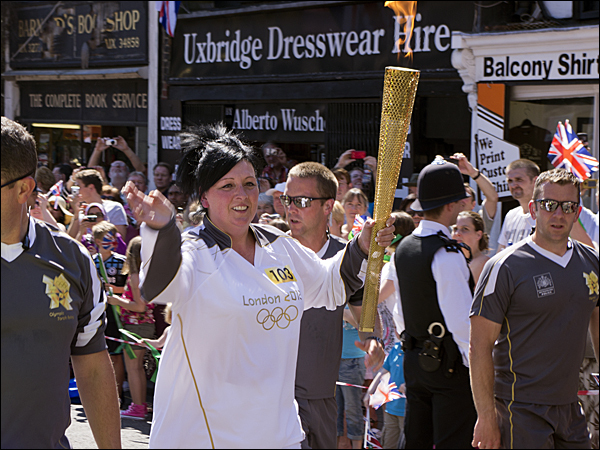 The torch bearer in Windsor Street. 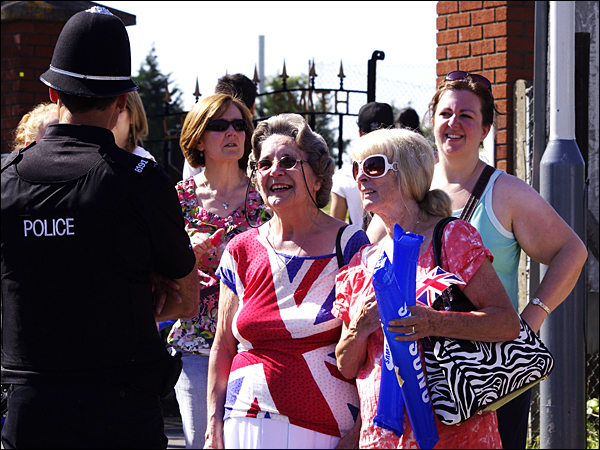 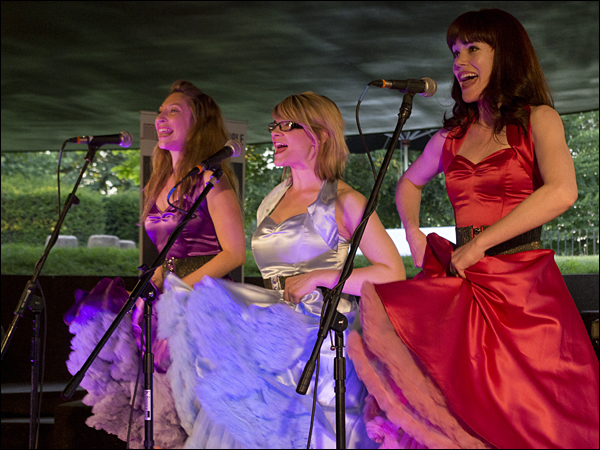 ....and people dressed for the special occasion. 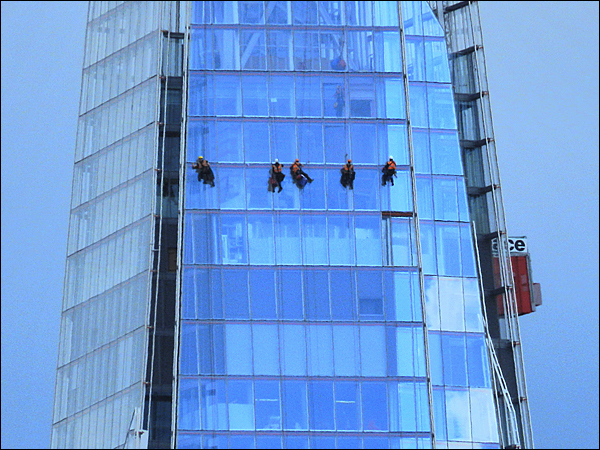 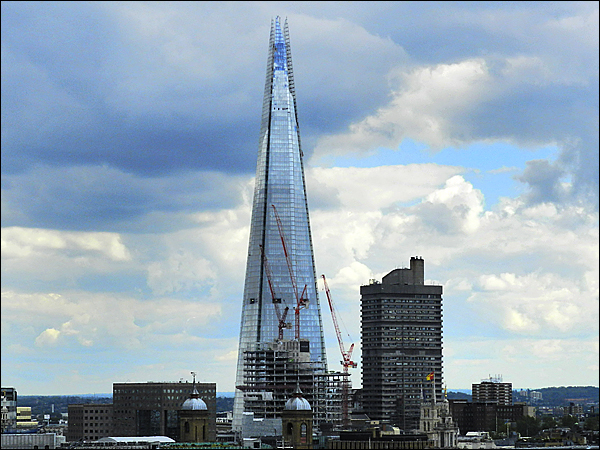 ...but before the big day they had to get the window cleaners in! 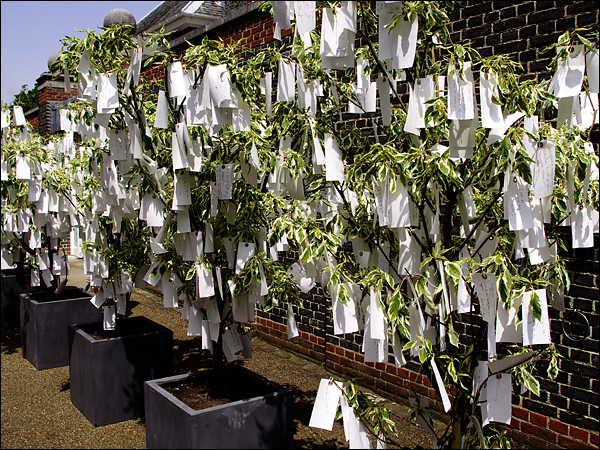 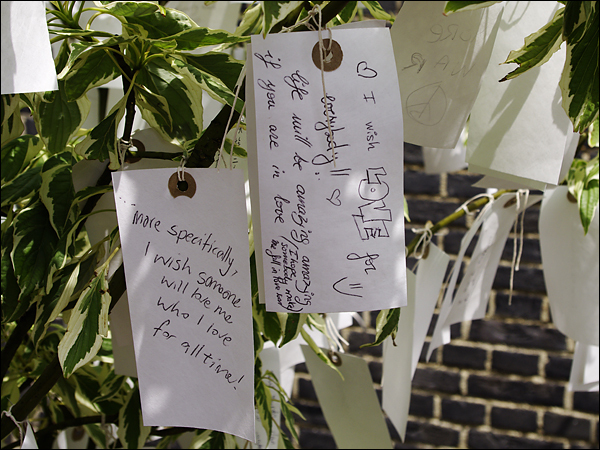 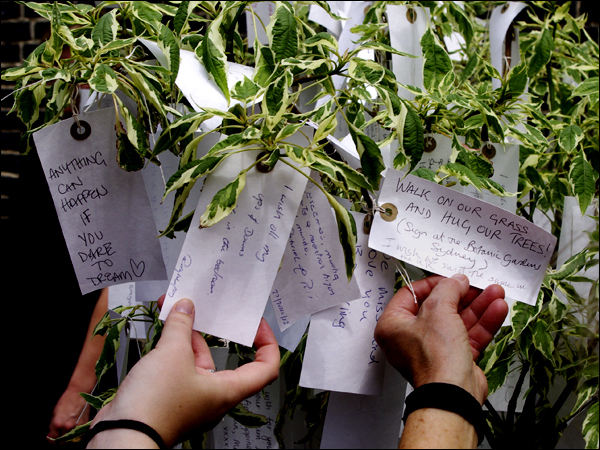 Yoko Ono invites passers-by to write their desires onto a tag and tie it to a branch. 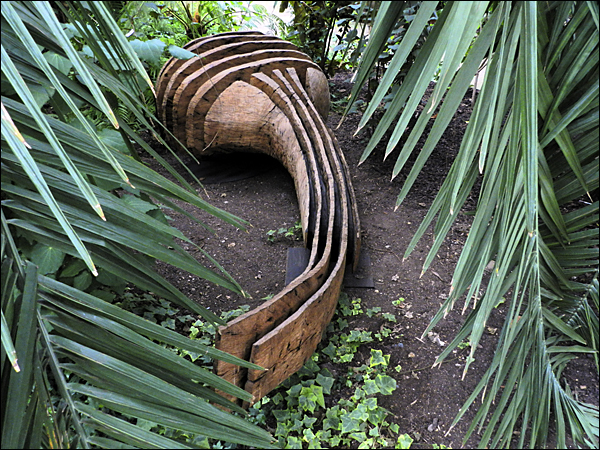 them into another artwork,"as a concentrated accumulation of human yearning".